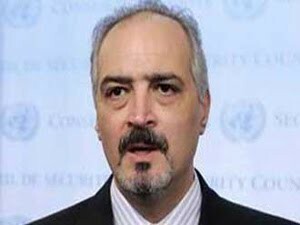 Bashar al-Ja’afari, Syria’s Ambassador to the United Nations. I understand he must justifiably feel persecuted, and the pariah of the day in many circles whether his views are the correct ones or not. However, he’s complicit in tossing barrel bombs out of helicopters down onto kids (refugees). Syria was an ugly, violent vassal state of the USSR, and was heavily into exporting terrorism with gusto. The Jackal lived there in peace. Everyone was hoping Arab Spring would free Syria from tyranny, finally! Damn. Excuse us while we clean up IS/ISIS/ISIL first, we hope. Bob, thank you. You’ve done a great service in republishing this interview.